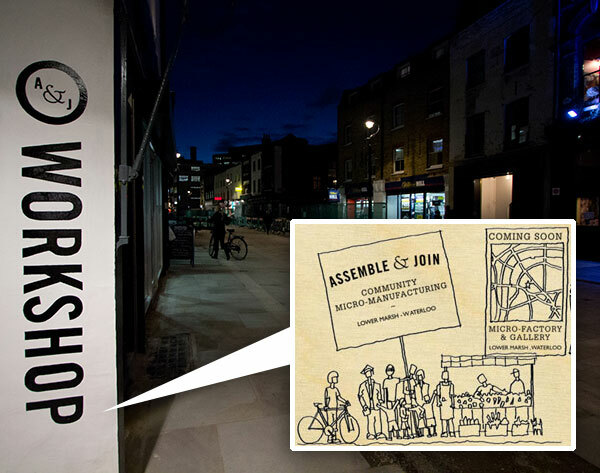 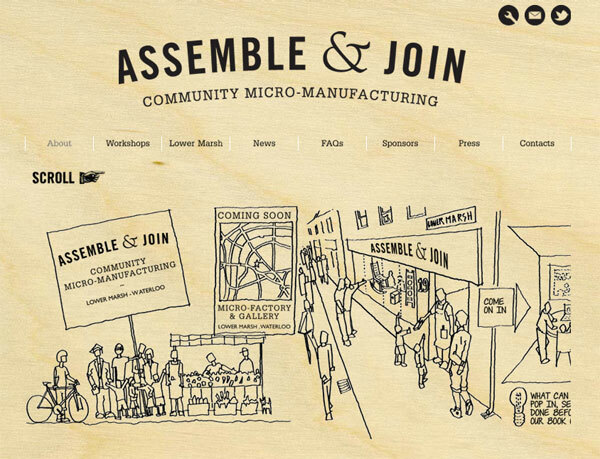 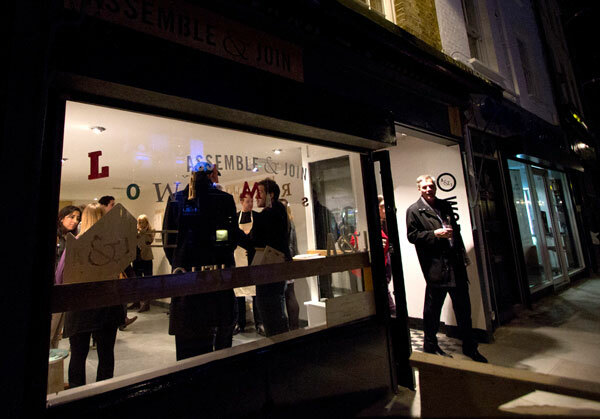 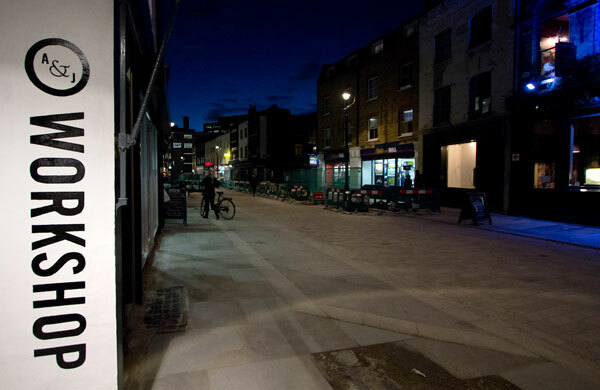 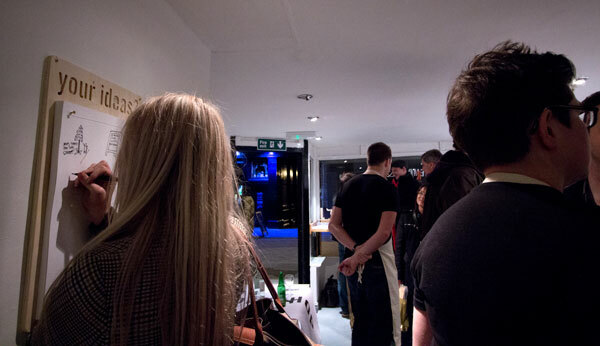 The pop-up workshop is along the independent high street of Lower Marsh, just a block from Waterloo station. 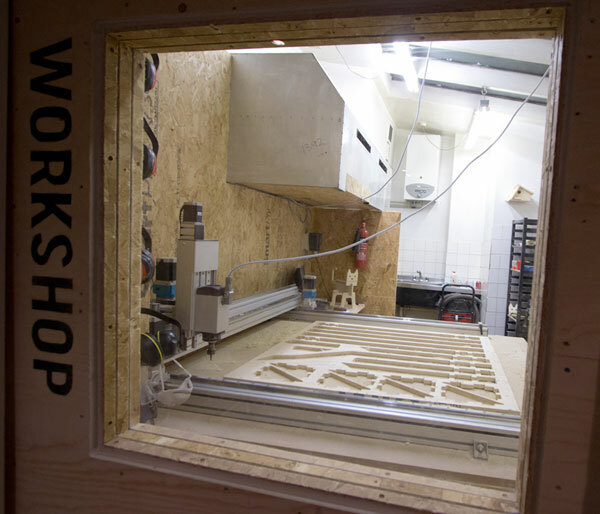 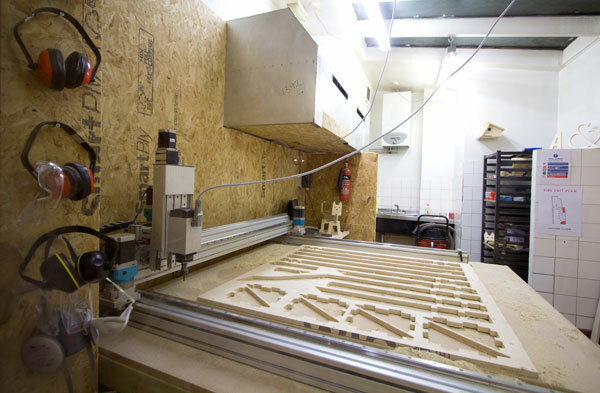 The CNC workshop room, used to create objects that are held together by friction alone and mean than anyone can make and assemble objects without requiring the use of hammers, drills, saws or any other tools aside from maybe a mallet to ensure a good fit! 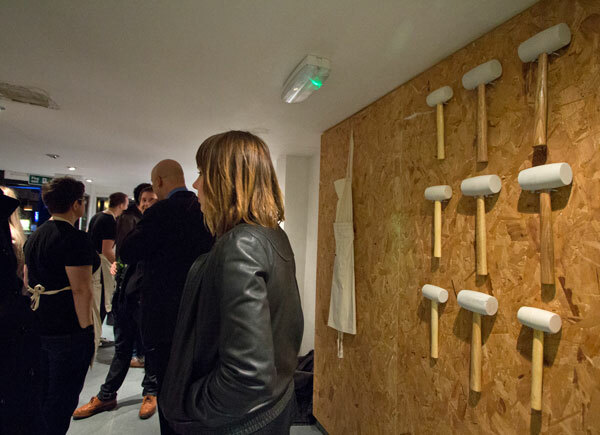 The wall of mallets at the ready. 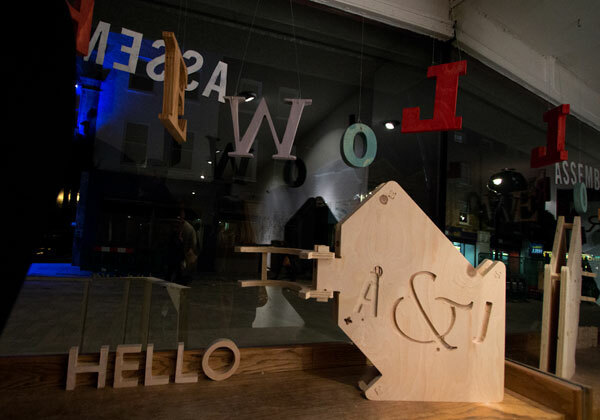 The idea pad (already brimming with ideas for making!). 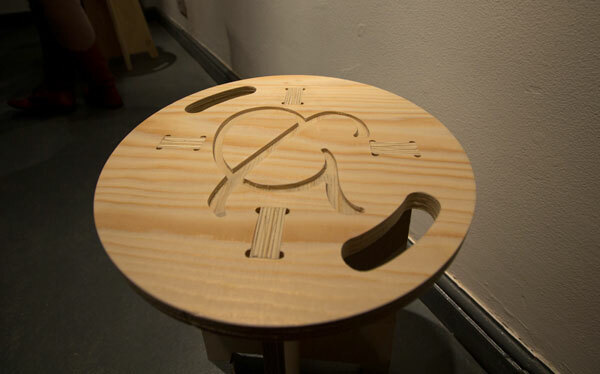 Although only a new project, the space is already filled with Assemble & Join made and designed pieces like these adorable stools!